We have recently updated our website so that it can be used on mobile, however the experience is not optimal. Our mobile website works best for accessing your infographic gallery on the go. 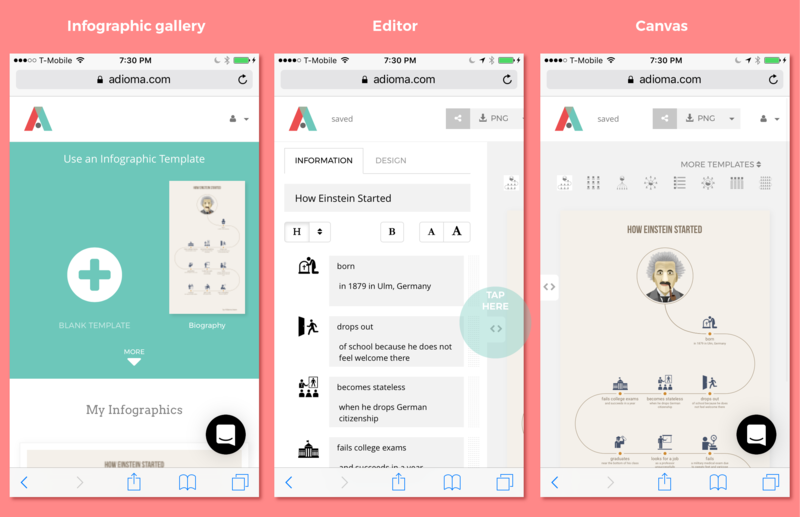 To create infographics and edit them, we still recommend using the desktop version. That said, you can use Adioma on tablet, include iPad. Many of our users do. Here is how Adioma looks on mobile. To access the editor tap on the < > arrows. We do plan on release a mobile app in the near future so please stay updated.